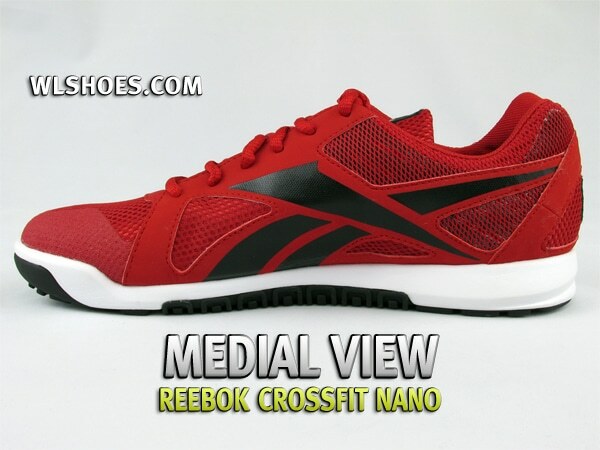 Click Here For Our Review of the Reebok CrossFit Oly Shoe. 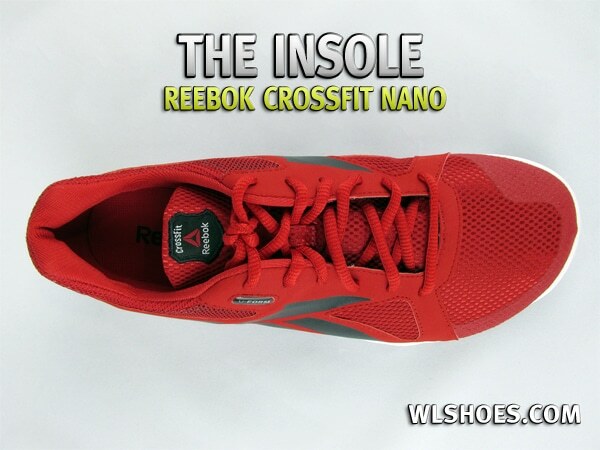 The Reebok Crossfit U-Form Nano shoes are a minimalist style, zero-drop shoe, designed specifically to meet the needs of Crossfit athletes. Frankly that is a hard task to take on given the very nature of Crossfit and its notorious variation of exercises. 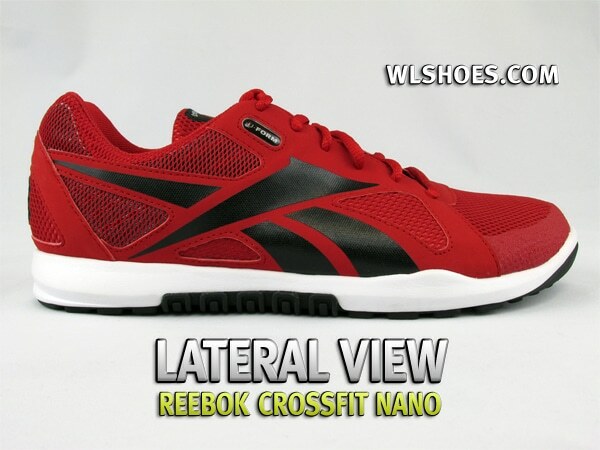 Nonetheless, Reebok has spent some 10 months testing and refining the U-Form Nanos to be THE shoe of choice for Crossfit. After testing, here’s our own humble review. We’ll first discuss the styling of this shoe, as it is appears to be a hotly debated topic. Minimalist shoes, in general, are not the most attractively designed due to their primary focus on functionality, not fashion. 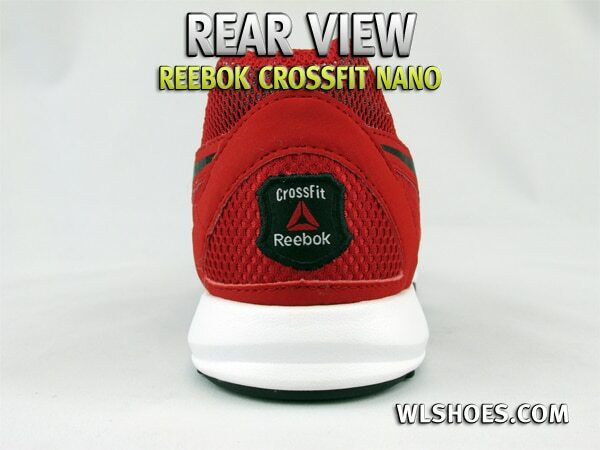 With that in mind, I feel Reebok did a decent job of making the Crossfit Nano appealing while still incorporating all their intended design features into the shoe. As mentioned, this is a zero-drop style shoe so your foot remains flat from heel to toes. The sole is fairly hard and stiff with a grip that has been designed for your typical Crossfit affair – box jumps, rope climbing, etc. The grip isn’t great on wet surfaces; and I don’t recommend these for trail running either due to the grip pattern and stiff sole. However, these weren’t designed for that type of use in the first place. 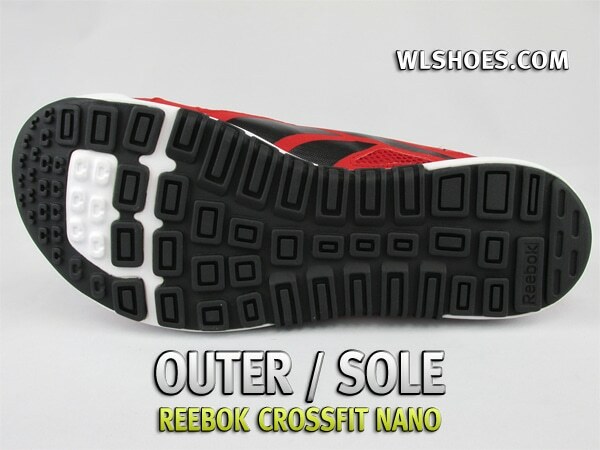 Two of the coolest things to note about the Nano U-Form sole are the rope gripping design on the interior arch of the shoes and the soft “landing pad” section located on the ball of the foot. (See the video review for exactly what I’m talking about). Both of these designs were incorporated for the specific needs of Crossfit. The shoe features lots of mesh making breath-ability a non-issue. The tongue isn’t thick or annoying and the height of the shoe opening fits right below the ankle, allowing for plenty of ankle mobility. We did find the shoestrings to be a little too short though. While watching the 2011 Crossfit games, I noticed several of the athletes wearing the Reeboks needing to stop and tie their shoes. This is not only a safety issue, but in a time-sensitive sport like Crossfit, I feel it is a major oversight by Reebok. Our one criticism on the design of the shoe is this – it seems in an effort to make the sole as stable as possible, they may have made the bottom too stiff. The flex-point of the shoe appears to be right behind the ball of the foot, not the best place in my opinion, while the middle arch area feels very stiff like a plank. In short, I wouldn’t try and use these for long distance runs. The toe box is extra wide, which is a blessing to those of us that have been cramming our feet into what seem like extra narrow Inov-8s for the last few years. Those of you with dainty feet and un-flared toes will also be accommodated by this toe box, which was designed to mimic a barefoot feel “inside” the shoe. This attempt at a “natural” feel may make the shoe seem to fit too big if you are not accustomed to similar style shoes. My suggestion is to wear them around your house, as to not dirty the shoe, and make sure you aren’t experiencing any irritation or pain while wearing them. If not, and your toes reach the end, then they fit as intended. We found that these shoes do not run true to size. Instead they seem to run a half size to a full size big, depending on the person. Again, the width of the shoe can make them feel too large as well, so here’s a sanity check – Your longest toe should reach the end of the shoe for a proper fit. The U-Form technology is what really puts the finishing touches on the fit and feel of the Reebok Nano. While not a novel idea, a moldable insole allows you to custom shape the shoe to your foot. In a minimalist shoe this almost seems unnecessary, but after molding the shoes we felt a noticeable improvement in the fit of the shoe. It wasn’t so much support but more of a “glove” like fit around the heel and toes. Bear in mind there are TWO types of U-Form technology, one you need to bake in the oven and one that only requires a blow dryer. The Reebok Crossfit Trainer shoe requires only a hair blow dryer to mold the insole – do not bake, microwave or use a cutting torch to mold these shoes! It looks like Reebok’s Crossfit HQ Store is going to be only place to get these for now, with a release date of early 2012 for the next shipment to be in. We’re not certain, but it doesn’t look like the yellow model will be available to the public. The shoes are now available, in ALL colors, through Reebok.com. Given the sizing issues, I certainly hope Reebok posts a reliable sizing chart on their website; otherwise I can see a lot of people returning these due to purchasing an incorrect size. Nice review! Do you know if you take the insole out when you mold the uform on these or do you leave it in… I can't seem to find any info on that from the Reebok link you provided. No, you can leave the insole in or take it out. It won't make a difference. Thanks for the review! How would these fare as a powerlifting shoe? I get that there is "zero drop" but how much height does it add overall? Looking to upgrade from Chuck Taylors. Very little lift in the heel at all, especially if you utilize the U-Form feature. I would guess the toe to heel lift is less than a quarter inch. As for power lifting, they would certainly work but only to a certain degree. The heel is still compressible, as these are meant to be able to run in, so if you are beyond an intermediate lifter and really moving some weight you probably need to go ahead a get a more stable shoe. Hey, great review. Looking forward to trying these out when available. I know you have not reviewed them, but what are your impressions on the CrossFit Reebok Olys? 150 bucks is a high price tag and so far I can'tfind decent review anywhere….Thanks for all your work! I actually have a pair sitting on my desk right now, been working on the review over the last couple of days. I want to make sure it is thorough and we have a video of them as well before I post the review. I didn't realize Reebok was going to launch the sale so soon! Needless to say, so far I've found them to be hands down, the best pair of Oly shoes I've used thus far. I mean, how long have you been waiting for a weightlifting shoe that you can do calf raises and sled work while wear! I highly anticipate your actual full review but I'd say your remarks here are more than enough to convince me to pull out the credit card before they are all gone! where can we find the video review? Video is now up. Sorry about that, had to fight with my software to get a decent video demonstration. Hopefully we can buy some better equipment (like more lights) and get better videos for the following reviews! So as someone who was able to get his hands on a pair of these early (and as a CrossFitter), these are my new favorite shoes. Not just for CrossFit, but for everything. I think the review hit it spot on. But i wanted to clarify a few things now that I've been wearing non-stop for a month. 1. Stiff Sole – When you pull em out of the box and strap em on they are stiff. it feels a little awkward cause they are so stiff. DON'T WORRY! when you heat them up for the u-form it becomes noticeably more flexible. they also flex more as you wear em in. (i found it took about a week for them to flex naturally) and to clarify, this isn't just cause i got used to the shoe, i just got a brand new pair today and they are as stiff as i remember. 2. Short Laces – the first pair i got had short laces, it looks like they remedied this and upgraded to longer laces, the laces they were using before were for normal sneakers and if you notice on the shoe the opening above over the tongue is wider than most other shoes. BUT once again, they've noticed and taken steps. the pair that i got today have longer laces. all in all i highly recommend them. And also, although i haven't tried them yet, I've heard the Reebok Oly shoes are awesome as well. As far as the laces, I bought a pair this weekend (5/5/12) and the laces are easily long enough for a double knot. Also, the shoes come with an extra pair. One in each color (yellow and blue shoes: 1 pr yellow laces & 1 pr blue laces). pathetic shoe. crossfit cult followers will be the only ones buying these. chuck taylor all stars are way better for a fraction of the cost. I have been checking these shoes out online now for the past few weeks. There is a Reebok store near my house that I went to but they didnt have them. I tryed on some ZigNano Ignite trainers instead to try to get a feel for Reebok's sizing. I was a 9.5 in the Zignano Ignite Trainers. 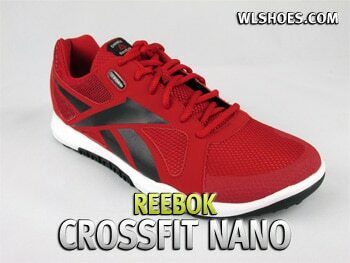 do you think i should still downsize a 1/2 size to a 9 for the Crossfit Nano's? Any advice would be appreciated, thanks. These will only be available online – Reebok.com is probably the best place to get them because they seem to update that site more regularly. The sizing issue has been corrected, so the length fits true to size but the heel and toe area are fairly wide. If the zignano fit then I think a 9.5 in Flex Nano should work. When they were first released, the Nanos were way bigger than what they were marked. For instance, if you wore a size 9 in Reeboks, the Nano felt more like a 10. This issue has since been corrected and the sizing runs true to your Reebok shoe size. Hey just wanted to comment, I just got my CF Nano's today 3/23/12 and I wear a size 11 in Inov8's. The CF Nano's fit perfect as a size 10.5. I'm just guessing because of the wider toe box.. Hope this helps..
Any idea when Reebok will be launching these in Europe? Not much arch support in these. I'd recommend that you tape your instep if you plan on wearing these or invest in orthotics. Interesting. Through all their testing you would think they would have found any defects that existed in the product design; so let's hope it's just a defective pair! I dont know man, it happened to my pair and my buddies pair and his are even more crumpled. I think the innov-8's might be the best shoe. Thoughts? Take pictures along with a brief description of what caused it and when you noticed it. Email them to me at wlshoereviews [at] gmail.com I'll look into it and see if I can find more occurrences of this. If so, I will bring it to the attention of a few contacts I have in the Reebok company. Love my Inov-8 f-lite 230's, but I'm always willing to try something new, and these look like a lot of time and testing went into them. Anybody have the weight specs? Someone else here posted about "squeezing your toes into the Inov-8's" and I have to agree with that. I live in Australia and really want a pair, can anyone help? I not only need a shoe for Crossfit but also running. I know the website states that they aren't the best for long distance. Does anyone have any experience with running in these for 3-5 miles? These will feel pretty much like most other "minimalist" style shoes for running. My feet are completely flat. Is this shoe better for me than the Zoot slip-ons? I don't believe either shoe is made specifically to support people with fallen arches or flat feet, you'll need orthotic inserts for that. Personally, I tape my arches when I go on extended runs in any shoe as I have very low arches. Anything jabbing or pressing under you heel is usually a manufacturing flaw and should be sent back for return. Unfortunately the back of the opening may just hit your foot in a manner that isn't comfortable for you. I didn't experience any problem with this and found them to fit about like any other sneaker. looks like a tremendous shoe, could be a real winner. when can i find in my local store? Saw these shoes all over MidAtlantic CrossFit Regionals this weekend. I was there with a big group and many of us bought a pair onsite. My coach said it took a few workouts to break them in but she absolutely loves them. I’m a little unsure about the u-form option – what if I go through the process and don’t like the fit? I believe, per the Reebok site, if you don’t like the fit after U-Forming the shoe you can simply reheat them and let them stand. They should reshape themselves back to a neutral fit. If you try this, please let us all know if it works! at the moment, but in past with some more weight on the bar). the shoe looks good too. cancel where I bought them before the pair will be sent. Thank you very much in advance. And sorry for my english. It sounds like you will be ok using this shoe in those weight ranges. But keep in mind that they are not a power lifting shoe and are not designed to be used with really heavy loads. I always recommend that once people start squatting in excess of 300lbs then it’s time to put on some footwear better designed for pure lifting. The Nano is a great all around “trainer” shoe, but there are always compromises when making a shoe that has multiple uses. P.S. : Normally I wear EU Size 44.5, this is US 10.5.
buy a US size 10 or even 9.5 ? You should ask around about the sizing. I haven’t been able to confirm that Reebok still makes these a half size large or not. @WLShoes: Thank you very much for your answer. That sounds not so good, because I am nearly squatting the 300 lbs, in past I was about this weight. But I am no powerlifter, I train more like a bb, but the squat is a great basic exercise. Which shoe you would recommend else ? I am not sure now, if I buy the shoe..
Then I would recommend you get the Reebok Oly. It is versatile enough to be used in most training but sturdy enough to use for heavy lifting. Ok, I decided to squat with more weight without shoes. So I got the Nano today. They are 1/2 smaller than I normal where. Left shoe fits perfect. Right shoe feels as if the sole cuts in my feet. It does not feel as good as my right. Problem is I got them from America and I am from Europe. Could I solve the problem with a hairdryer. I don’t know, but I am really upset now, the shoe cost a lot of money, I do not pay this amounts normally. I just got my pair of Nanos and wore them for the first time yesterday. They feel great. However, the top of the heel is very stiff and gave me terrible blisters on both my heels. Should i expect this to get better as the shoe becomes more flexible. Do I need to wear those socks with the cushioning at the heel? Help??? Sounds like the shoe may be slightly big. I did find these, and the new Nano 2.0 to run slightly big. They should fit snug without your heel moving up and down at all. My Crossfit box does a lot of running, how are these shoes for running on pavement? Sounds like they’ll be great for everything else. I want to be able to squat, DL and OHP but I also like doing plyos ect.. 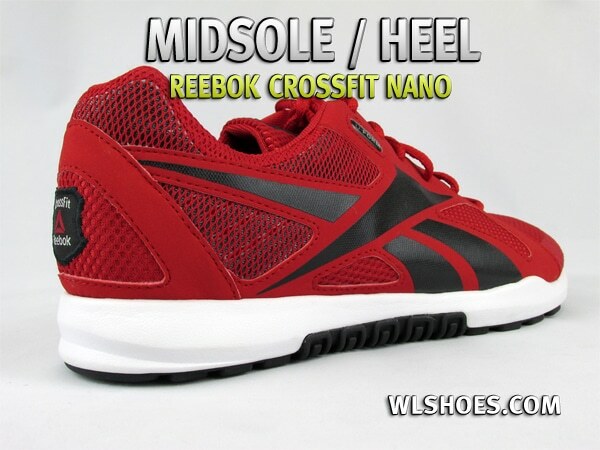 I do not crossfit, so I dont really need all the fancy features this shoe has. Could you recommend something similar but with a lower price tag? I’m below the 300 lb range btw. Thanks! Some of the New Balance shoes are under $90 and would work. You could also look at the Inov-8 brand. I’ve been doing some research online and getting no where. My daughter is a track athlete who needs to do weight training as a part of her training. It was recommended that she gets appropriate shoes for weight lifting. What type of shoe would you recommend for such an athlete? She is currently swatting in the low 200lbs.